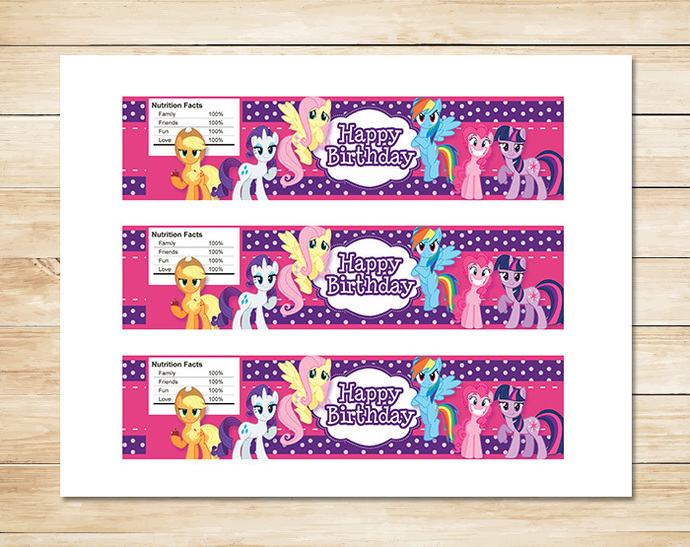 Make your kids’ party more beautiful with this free printable My Little Pony bottle labels. You can cut out and begin to decorate the beverages at the birthday party, preschool activities, scrapbooking or put on your kid’s bottle for lunch. It is easy to get and you may follow the step below. This file has colorful background that is really pretty to have. This file comes in PDF format on 8.5 x 11 standard letter size paper. It will fit the regular sized water bottles. So, you don’t need to feel worry with the size. 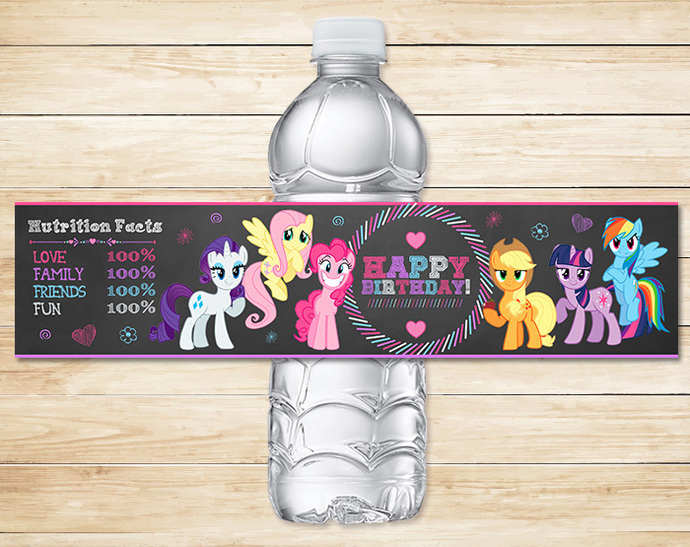 To download this free printable My Little Pony bottle labels, you need to click on the image and save to your computer. It is provided with a crop mark to ease you cutting the label. We recommend you to use glue or tape to stick the label on the bottles. You may download the file below! What is the best paper for this water bottle label? 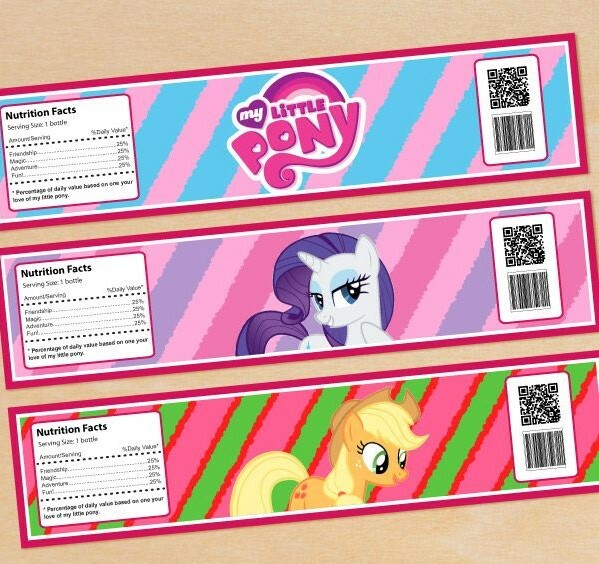 Actually, this file is available to print in various kind of paper. If you need to print quickly, then use multipurpose printer paper. It really works great. Besides, it is easy to trim. Other choice is printing by laser printer. Although this machine is quite expensive, but it can save your ink. A really best idea for you who plan to have party for years to come. Not only that, it is also good for homeschoolers and scrapbookers. 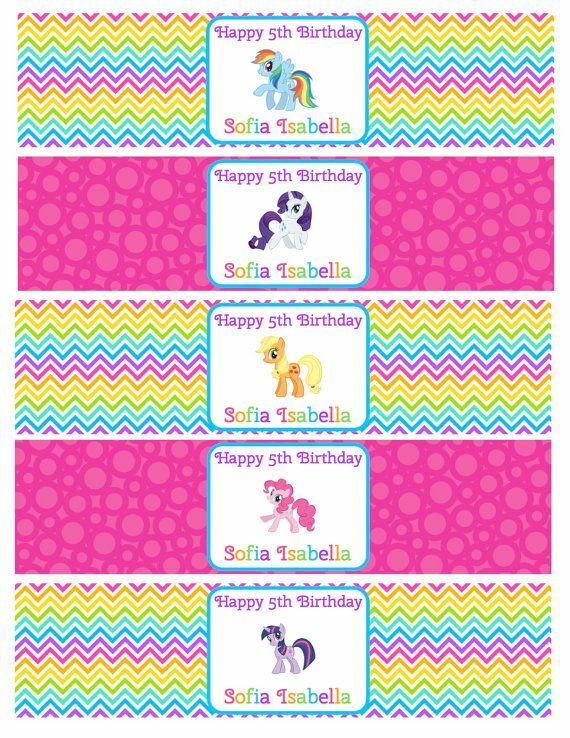 The best choice to print this free printable My Little Pony bottle labels are cardstock paper that is usually used for invitation card. To make the bottle label strong, you can coat them with contact paper. Many people prove it and really works. So, what are you waiting for? 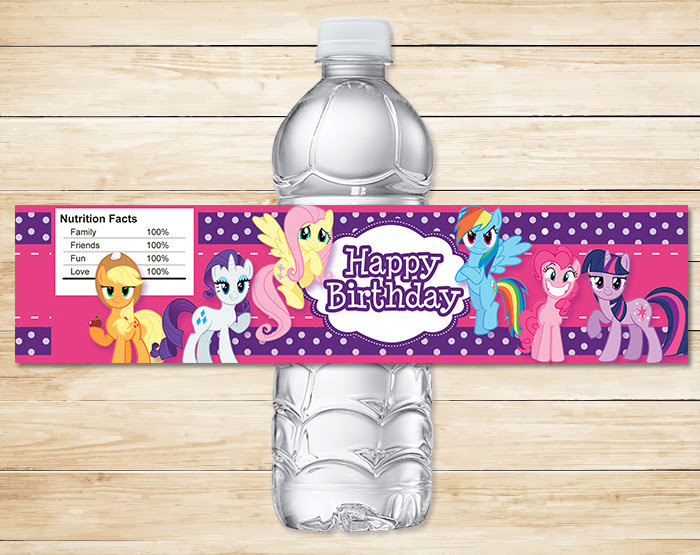 Get this free printable My Little Pony bottle labels and decorate the beverages as you want. Your party would be the best party ever!